Construction suites provide construction companies with a complete, end-to-end business solution entirely focused on construction. These solutions offer such functionality as job estimating, financial management at a holistic and project-based level, and field service management, among a variety of other features. Construction suites are beneficial for larger construction companies looking for greater transparency and organization, but can also be useful for small businesses interesting in having one complete product with centralized information. These products may have similar functionality with accounting or field service management software. Construction Suites reviews by real, verified users. Find unbiased ratings on user satisfaction, features, and price based on the most reviews available anywhere. BIM 360 improves construction project delivery by supporting informed decision-making throughout the project lifecycle. From design collaboration, documentation and reviews, to pre-construction, and through quality and safety and operations, BIM 360 connects the people, data and workflows on your project. So you can see the big picture and keep your projects on track. 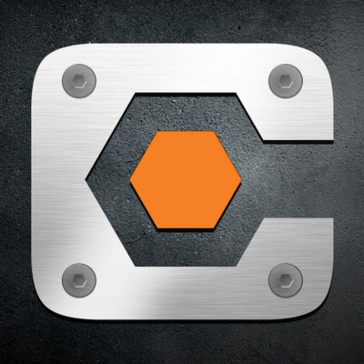 Procore is a cloud-based construction management software application that helps firms increase their project efficiency and accountability by providing streamlined project communication and documentation. Users are able to manage their projects from any web-connected mobile device, tablet, laptop, or desktop. Procore provides users a way to collaborate on projects and view documents, such as submittals, RFIs, contracts, schedules, and drawings. Everyone from general contractors and architects to engineers and construction management firms can edit and share project data from the job site while facility owners can view the progress of each project in their portfolios. Enterprise-level businesses leverage Procore to manage construction projects, field communications, drawings, documents, and more. Procore operates under the Software-as-a-Service (SaaS) model, allowing general contractors and project managers to buy the software on a subscription basis. Spectrum delivers complete business management for small & large construction companies. From construction accounting to project management, from the office to the job site, and across the entire life cycle of construction work, Spectrum has helped thousands of clients manage and grow their contracting businesses. Spectrum Construction Software represents more than three decades of continuous innovation and investment in the latest technologies. We have done more than simply put Spectrum in the cloud—it is designed specifically for the cloud, providing an interface that allows you to work from just about any connected device, anywhere and anytime, by simply launching a web browser. Spectrum delivers the convenience of true cloud computing. Spectrum users enjoy the convenience of the cloud while still providing complete control over data security and user access. Spectrum Construction management software delivers unmatched ease-of-use There is nothing easy about running a successful construction business. That’s why we designed Spectrum construction software to be as user friendly as possible—so you can spend time running the business, not figuring out how to run the software. With Spectrum construction management software, there are no complex menus to master and memorize. Start from the interactive Spectrum Dashboard that you customize to fit your needs, and dive into detailed information and the work you need to get done. As you work, a responsive InfoBar is always present, giving you one-click access to tasks and data related to what you are doing. All Spectrum applications work together seamlessly. Instead of opening several different applications to get one job done, simply start working and Spectrum gives you multiple ways to move forward with a single click, either through the intuitive InfoBar or through links directly from your data. And as you start new tasks, the web-based structure of Spectrum’s interface opens new work tabs. When you need to pick up where you left off on previous tasks, simply click on the tab you need. Spectrum construction management software gives you the tools you need to communicate, collaborate, and help everyone work better together Document Imaging Pane - Spectrum Construction Management SoftwareSpectrum is the first construction software to deliver fully-integrated web-based document management. Wherever work takes you, documents or images associated with your work are available through an image pane on the Spectrum desktop. View purchase orders, contracts, submittals, work orders, RFIs, job site photos—virtually any type of file associated with your task at hand. Adding a new document or image is as easy as dragging and dropping the file onto the image pane. The Spectrum Dashboard is an information portal for everyone in your company—not just licensed Spectrum users. Each person’s Dashboard can be customized with apps to fit the job they do. There is a growing selection of apps available and tools to help you build your own. Spectrum applications and mobile apps are completely integrated, giving you a complete view of your projects. Metrics such as Work In Progress, Cost to Complete, Over/Under Billing and Earned Revenue are available on a single screen. Spectrum also helps ensure that everyone you work with—owners, architects, subcontractors, vendors—all have access to the latest information. Spectrum’s Project Management Plan Room gives you a cloud-based platform to share documents, send, receive and track communications, and maintain an audit trail of all project activity and correspondence. BuilderTREND is an award winning construction management system for home builders and remodelers. It combines project scheduling, project management, customer management, and service management in a single suite. As a Web-based platform, this system can be accessed anywhere with a computer or mobile device. BuilderTREND provides pre-sale tools, including a built-in CRM system and quick bids and proposals. Project management tools include scheduling, budgeting and time sheets. Customer management tools include change order and selection management, warranty requests and payment processing. This system also integrates with other valuable solutions, such as QuickBooks and Xero. BuilderTREND provides each company with an account manager to provide unlimited training and support. Also included are daily webinars, the BuilderTREND Learning Community, a 24/7 help section and BuilderTREND University. 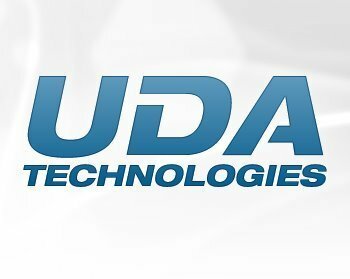 UDA ConstructionSuite is designed for growing construction firms with estimating, job costing, contracts, scheduling, and specifications to help you manage your business. CMiC is the leading provider of complete, unified and advanced enterprise and field solutions for construction and capital projects firms. CMiC’s powerful software transforms how firms optimize productivity, minimize risk and drive growth by planning and managing all financials, projects, resources, and content assets—from a single database platform. For more information, please visit www.cmicglobal.com. ProContractor is a cloud-based software solution for estimating, project management, and accounting that helps you manage the project lifecycle from bid to project completion. Jonas Enterprise Service & Construction Software is an integrated construction software to help you manage organization and profitability by keeping the administrative end of your business organized allowing you to focus on managing jobs and servicing customers. RedTeam provides a set of online project management and collaboration tools for construction, including a social media platform. BuildSoft Pro is a construction schedule software that allows you to keep your jobs on track by displaying your entire job at a glance and updates your calendar with daily reminders. Tekla software for construction and structural engineering industry is produced by Trimble, a technology company with a vision of transforming the way the world works. Tekla solutions are used for realizing projects around the world, from housing and bridges to factories and skyscrapers. Bizns Tool is a cloud CRM for small businesses and micro businesses. ECi MarkSystems™ is the home building industry’s only single-database, enterprise resource planning (ERP) information management application, and one of the most widely used, industry-specific software products available for home builders. Utilizing a single database throughout the system, real-time access from anywhere provides residential builders state-of-the-art efficiencies in reporting and customer service. Complete integration assures reliable accuracy from sales through construction. Mark Systems™ allows you to manage your homebuilding company from start to finish. Our cloud-based software puts you in control of your developments, individual homes, and business operations under a single, unified system. Offering ERP support for every home building activity, you can rely on MarkSystems from sales through construction. MarkSystems™ offers ERP support for every home building activity, delivering full back-office and field operations directly to every person in the building process, using their desktop, laptop, or hand-held device. Smart Contractor is an integrated construction management system that helps you run your construction business in an organized way, with consulting service to analyze your business operation. Blue Collar Software is an easy to use cloud based solution designed specifically for the service industry to help manage all day to day needs more effectively. Our user-friendly system allows you create quotes, schedule jobs and invoice customers with a few simple clicks. BuildSuperfast is an ERP solution for the construction industry that has work management, projects, vendor management, material management, work progress management, financial accounting, and more. CapEx Manager is a construction management software that can be accessed by multiple users in various departments that allows you to track funds and manage multi-year projects using a centralized database for storing project information. CMIS is a system that helps you manage customer relations to the balance sheet and manage information, processes, and user interface to create a solution for the construction industry. The Solution Provider For Your Contracting or Service Business! Contractor Essentials is designed for construction companies and more specifically for HVAC contractors. Ever since our start in 1981, we have worked to help enhance and build on the foundation that began over 35 years ago. Our software system provides customers with a complete business solution that includes accounting functions such as GL, AP, AR, Payroll and Inventory to Job Costing, Estimating, Contract Management and Scheduling. Additional features include a GPS interface, built in emailing tool, vehicle and refrigerant tracking, EssentialsPro Mobile app and much more. We have both lease and purchase options available to help fit your budget. Please call 1-800-272-9908 for a quote specific to your needs. eCMS is an enterprise-class construction management solution with features and functionality that respond to the dynamic demands of the construction industry. JetStream provides construction estimating that includes customizable cost database, estimate templates and the ability to turn estimates into proposals and schedules. Software that facilitates construction accounting, job costing and project management. Toolbox is an accounting software system that uses relational database tools and follows rules to help manage data redundancy. BluBridge Construction Software is an integrated bilingual construction management ERP software that includes, estimating, worksite, invoicing, mobile compatibility, and more. BlueDolphin is a construction management ERP software for small and medium sized construction, infrastructure and real estate companies across India. BuildStar is a construction software that will help you manage time and money by delivering accessible online information, client confidence and trust, and allowing you to manage sales and jobs. URC CIMS is an integrated customizable, multi-user, multi-location ERP system for meeting the information needs of your organization that has modules to help configure to your business needs. COBRA Contractors Software is an integrated suite of software programs that work together to track the aspects of an ongoing construction job. ConstructionOfficeOnline provides preconfigured and formulated office templates and forms that are designed to match the similarity of forms commonly used in the construction industry. Contractor's Office is a construction estimating software that manages your business process by managing time, money and projects from initial contact through completion, with control of cash flow and residential and commercial cost estimates. HeavyWorks is designed to manage the way your heavy construction company operates in order to manage success even as the company changes and grows. iDelPi is a customizable general contractor and construction business software that allows you to create estimates, manage projects, keep track of time spent on each project and record all construction site activities. Jonas Enterprise is a fully-integrated construction software solution. ERP solution for construction, installation and infrastructure companies. World's #1 vertical cloud for the construction and real estate industry. Construction ERP Software addresses all the project management, financial and operational requirements of executing construction, infrastructure, and EPC contractors projects that helps you manage and control projects. Perfect Project is an integrated system with accounting, job cost, payroll, estimating, purchasing, service orders and project management that offers the ability to custom design and build systems to meet your needs. A user-friendly dashboard customizable for any industry looking to improve workflow, increase communication and ease client handling. Hi there! Can I help you find the best Construction Suites solutions?